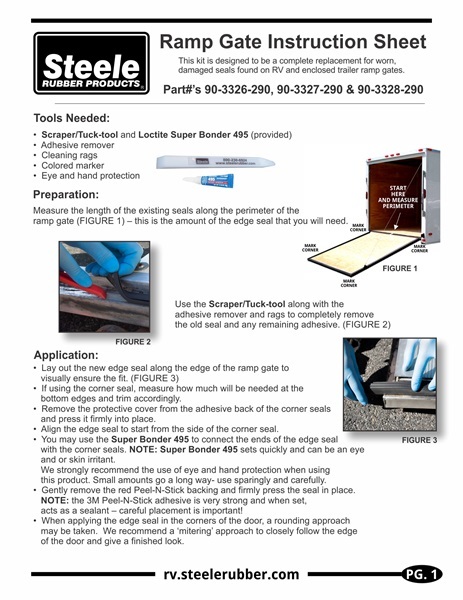 Steele Rubber Products now offers complete Ramp Gate Kits for your RV or enclosed trailer. 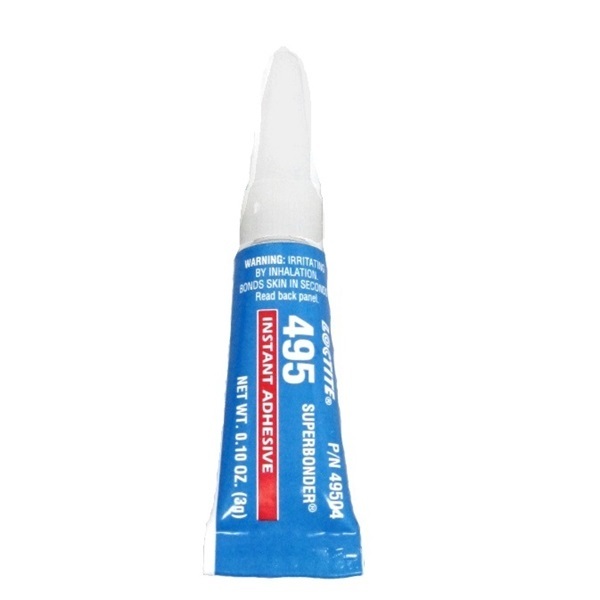 The kit includes the edge seal #70-3677-265 , corner seal #70-3907-207 , prep tool #94-0110-294 , Loctite Super Bonder 495 adhesive #96-0495-296 and an instruction sheet. 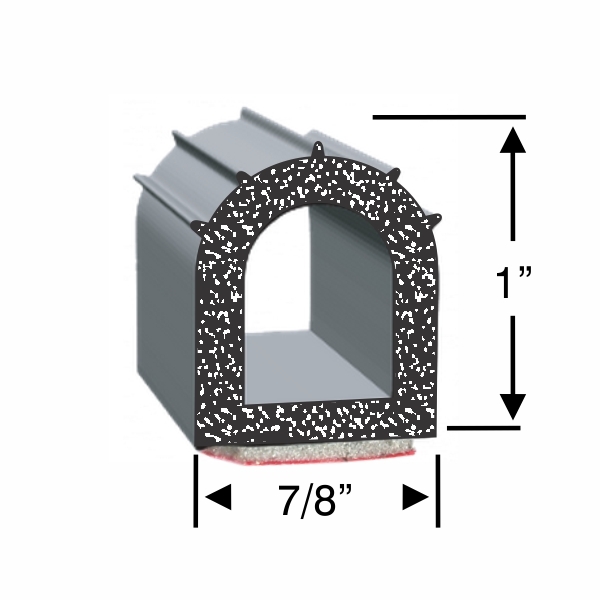 The corner seal comes in a single block length so that it may be trimmed to fit. The seals are made of high quality EPDM sponge rubber that feature strong UV and ozone resistance. 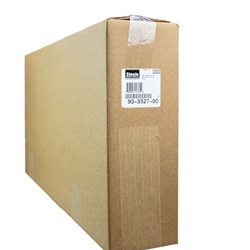 This makes for excellent durability and weather-proofing. The edge seal is backed with 3M Peel-N-Stick tape and the corner seal comes with a pressure sensitive adhesive. Both are easy to apply. 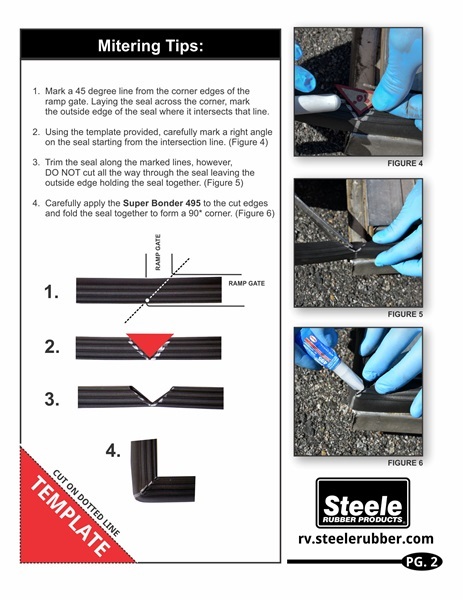 The Super Bonder is provided to help with mitering of the corners. 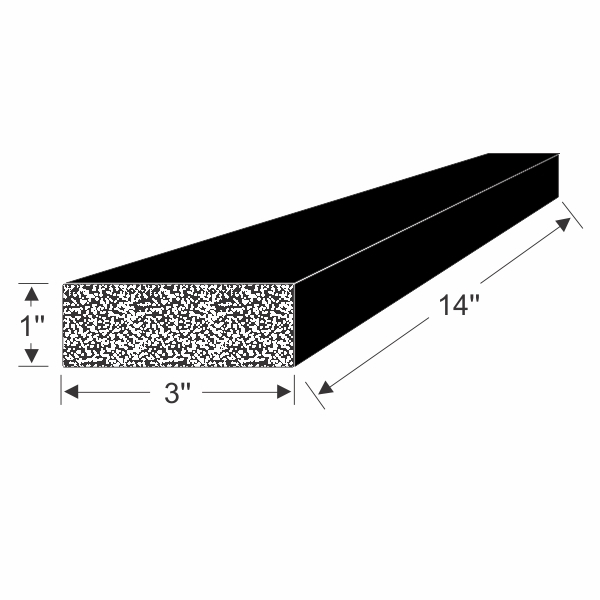 Carefully measure the perimeter of your ramp gate to select the correct kit size. Each kit is backed by our 100% satisfaction guarantee.